Most of us have tried diet programs, meal replacements, pills – then, when you feel there are no other options, you visit Dr Karen. This innovative webinar explains how this new weight loss success was developed by Karen after years of helping people who successfully lost weight. This webinar combines an educational program to understand why you gained the weight and the easy steps to take to remove the excess weight from your body. This effective approach enables you to learn rapidly, by accessing your subconscious mind where we hold our thoughts, beliefs and behaviours. You regain your control and eliminate your guilt. Karen can update the way your mind thinks about food, so you escape those old habits as we set new good habits and behaviours. You will naturally gravitate to small portions of healthy natural food your body wants and that you enjoy. This webinar will teach you things about food, and your body responses, that you never knew, to make it easier for you to achieve the result you want, without that feeling of deprivation we get from every diet. If you want to learn how to enjoy foods, live an active fun life and feel confident again, this is your key to open that door. 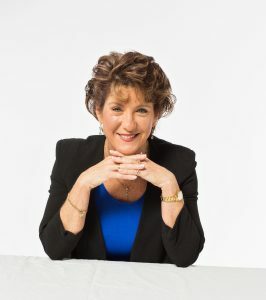 Lifestyle Dr Karen Phillip is highly trained and qualified to help those who have the hardest time with weight loss. She has a Master degree, a PhD, qualifications in Nutrition, Fitness, Herbal Medicine, Psychotherapy and is a trained Clinical Hypnotherapist. Karen has worked with those struggling with emotional and mental health issues for almost 20 years and is concentrating now on helping those wanting a longer life and healthier body. She also works considerably with couples to reconnect their relationship and teaches communication skills to enable couples to connect more effectively and understand their partner so much better.